Consider that while almost 30 million people in the U.S. have some form of diabetes, one in four don’t even realize they’re walking around with the disease. National Diabetes Month is an annual event each November to boost awareness about the risk factors, symptoms, and types of diabetes. If you’ve been recently diagnosed with either Type 1 or Type 2, or if you are considered prediabetic, hear the stories, check out the latest research, and connect with others who can help you on your journey to live a healthier life. ​Kentucky became the first state in the nation to legislate diabetes policy and assess resources for affected communities with the Diabetes Action Plan. ​A San Antonio court of appeals ruled that employment bans against people suffering from diabetes is discriminatory and unlawful. Scientists discovered the genetic basis of obesity through a breakthrough study using mice. ​President Reagan designated Diabetes Awareness Month for the first time. ​Color-coded blood glucose strips became a new way of testing blood sugar levels in hospitals — and later, in the homes of people with diabetes. Discover ways that you can live a little healthier by reviewing your habits. Are you getting enough sleep? Fatigue can cause a resistance to the insulin your body needs — and daytime tiredness can stop you from getting some life-saving exercise. Drink more water because dehydration keeps your body from functioning well. Be adventurous and add some new veggies and fruits to your diet to help keep those hunger pangs at bay. It pays to be ready for those days when your diabetes or some other illness gets you down. With a "sick day" kit, you'll be prepared in case you need to stay home and recuperate or head out to see your doctor. 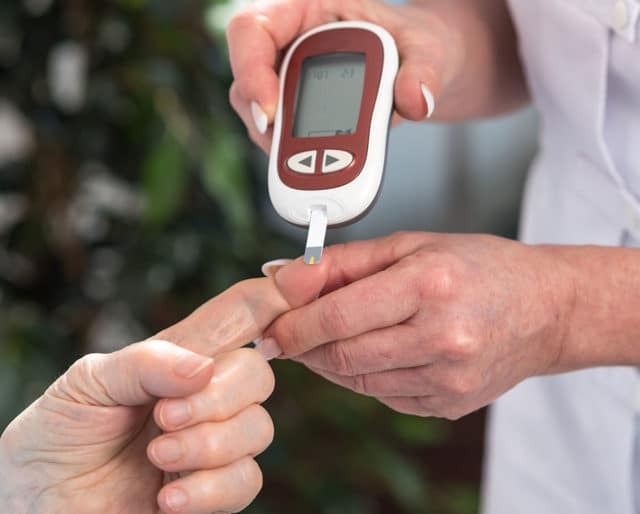 Some of the items in your kit may include blood glucose monitoring supplies, ketone test strips, glucose tablets or gel, a thermometer, hand sanitizer, an alarm clock or timer to stay on top of your glucose levels, and soft tissues. It's your list so tailor it for your needs. There are restrictions on what people with diabetes can eat. But that shouldn't stop you from enjoying tasty treats. Scour special cookbooks and websites designed for diabetics and experiment with recipes. Choose from delicious ice cream cakes using light sugar, reduced-fat whipped toppings, sugar-free hot fudge sauce, or low-cal casserole because you don't have to suffer with less flavor because of diabetes. ​An Egyptian manuscript dating around 1500 BC was one of the first documents in history describing diabetes as a disease. ​The vast majority of people in the world with diabetes reside in India. ​The leading cause of blindness, amputations, and kidney failure is diabetes. ​People with diabetes have a double risk of developing heart disease over those who don't suffer from it. ​If you factor in the costs for medical expenses and reduced productivity, diabetes costs over $245 billion each year. Type 1 diabetes occurs when the body can't produce insulin, a hormone in the pancreas that breaks down carbohydrates into blood sugar or glucose, for energy. Insulin therapy helps the pancreas to function normally. Many children suffer from Type 1 diabetes although it can affect people of any age or background. Type 2 diabetes is the most common form of the disease where the body is unable to process our internal insulin well enough to keep blood sugar at normal levels. You may be predisposed to Type 2 diabetes if you are overweight, older than 45, your parent had Type 2 diabetes, you barely exercise each week, and you have been diagnosed with prediabetes. Losing weight is a key preventive measure. With a 10-14 pound weight loss, you can improve your chances of avoiding or even beating diabetes. Try to exercise about 30 minutes a day, five times per week. National Diabetes Month is focusing on gestational diabetes. This occurs to women who develop diabetes during pregnancy. Once a woman is diagnosed with this form of diabetes in pregnancy, she risks developing diabetes at some point later in her lifetime. You may also have a lifelong risk of diabetes if you give birth to a baby weighing over nine pounds.